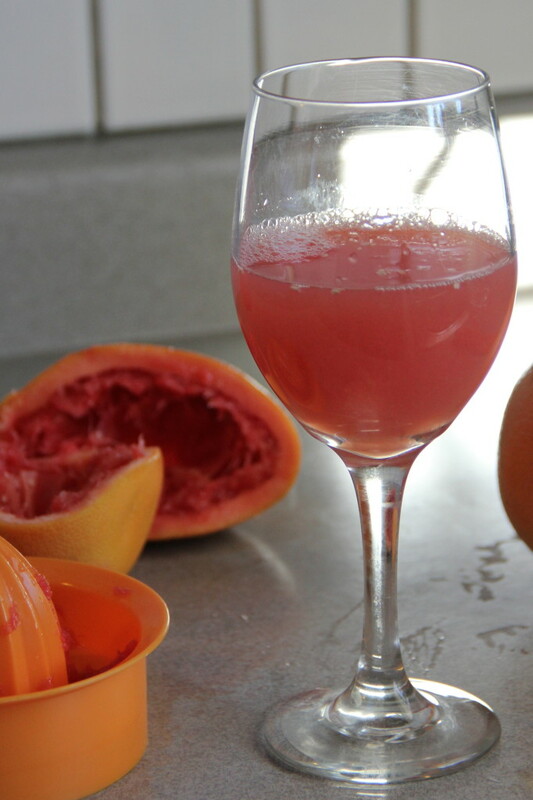 I LOVE pink grapefruit and pink grapefruit juice and your photos are beautiful! I love grapefruit juice too. My parents had a brilliant grapefruit tree — ordinary color, not the pink variety, — and a fantastic lemon tree, too, and I used to load up every visit. The grapefruits had millions of seeds, so juicing was the best way to use them. These days I have to buy my fruit. 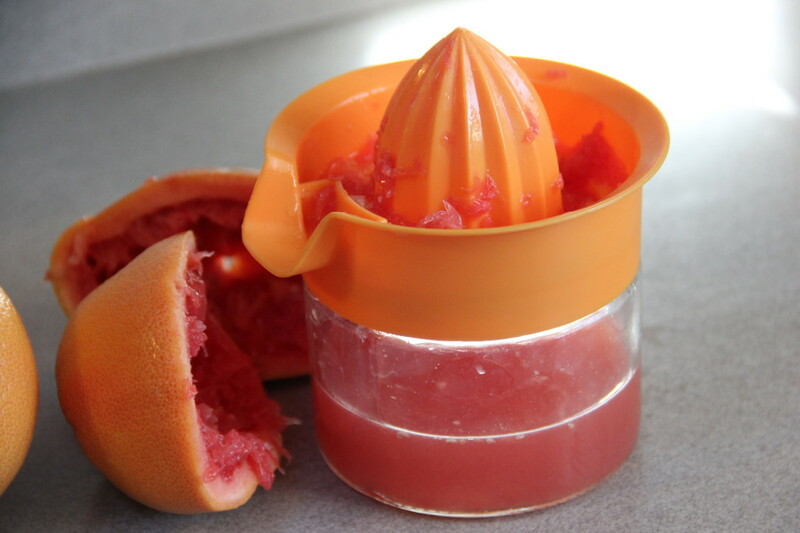 I did have a grapefruit daiquiri once made of pink grapefruit and it was yummy. 2 fl oz white rum, 1 fl oz pink grapefruit juice, dash sugar syrup, crushed ice. Probably more of a summer drink. That looks delish. 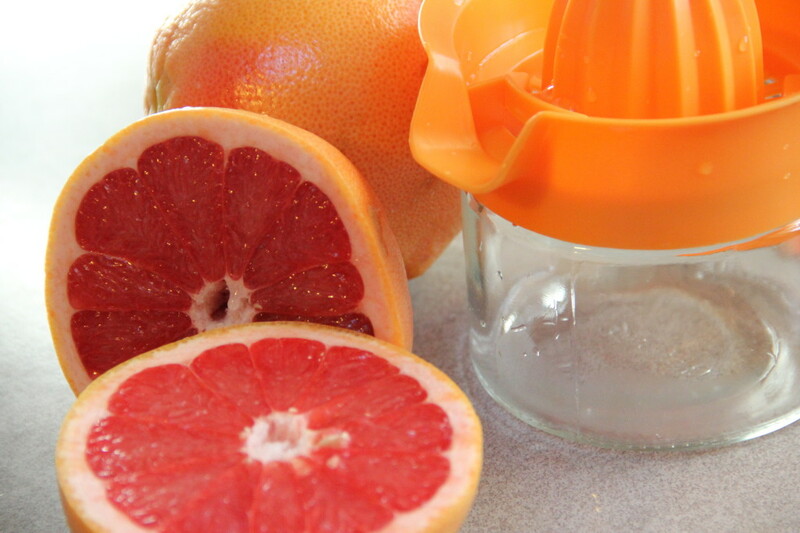 I love grapefruit and when I was pregnant I had such a citrus craving. Grapefruit and oranges every day. Yum. Well, thanks to you I now want grapefruit juice AND a juicer! Ah the power of suggestion. Cravings of any sort make me smile. It’s kind of like… “Where did that come from?” More often than not the craving will bring back some form of happy memory. Sounds weird, huh? I’m going to stop writing now. Great story! I always crave citrus in the winter. My theory is that it helps with seasonal dehydration. I never seem to be able to drink enough water in the winter. I have to be careful though because my stomach can’t handle the acid, so no grapefruit juice for me. I wonder if that’s true, Stephanie, that it helps with dehydration. I find the same thing, that I just can’t get enough water. But it is horribly, horribly dry here. It hasn’t rained or snowed in any meaningful way in months.